Cascade 220 Superwash Aran is similar to the Cascade 220 except that it is a machine washable aran weight Peruvian highland wool. 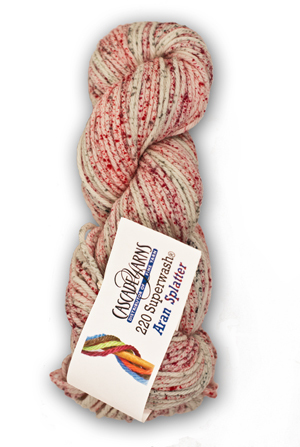 It is dyed in speckled, tonal colors with a hint of "splatter." Consider this yarn for your baby projects, afghans, and every-day wear.